Researchers from TU Wien have been digging deep into Vienna’s long urban planning history to retrace the paths, contexts and decisions accounting for the physical transformation of selected neighborhoods. Focusing on those areas on the left riverbank, the project puts an emphasis on a still under-researched and undervalued part of the city. 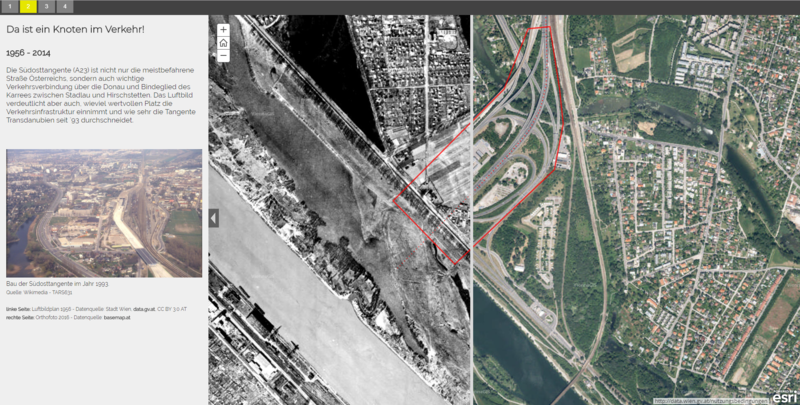 Findings are now being presented on www.lidovienna.at, an interactive website that allows you to time travel 200 years of urban transformation and planning in Vienna. When asked about the urban pattern, urbanists and planners like to refer to Vienna as a typical European city: dense and diverse, consisting of a medieval core and mixed use neighborhoods all around. Hardly ever does anyone mention that this is true only for the old part of the city that is located on the right banks of the Danube River. Vienna certainly has a different look and feel once you cross that water. “Transdanubien”, as it is called by the Viennese, stands out in many ways. Being incorporated in 1904/05, it is the youngest part of the city. While constituting Vienna’s hinterland for a long time, it is now one of the most dynamic areas in terms of urban growth and transformation. 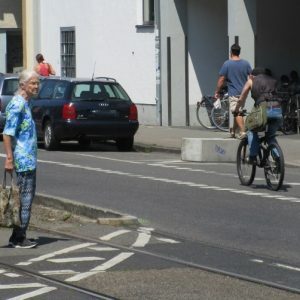 While Vienna’s population at large stagnated in the 2nd half of the 20th century, Transdanubien’s population more than doubled in the past 50 years. Today, almost 350.000 (or 20% of the city’s population) live in the two districts of Floridsdorf and Donaustadt that together constitute the city’s left bank of the river. So, while “Old Vienna” was modelled in the 19th century to accommodate both imperial and industrial needs, Transdanubien’s urban transformation is in large parts the outcome of post-war development and planning. In fact, no other area of the city better represents the zeitgeist, competing planning models, and urban imaginaries of the past 70 years of Vienna’s transformation: Technocracy, functionalism, post-Fordist and neo-liberal development patterns all appear in the different neighborhoods of Vienna’s northeastern districts. Take Me to the Other Side! www.lidovienna.at puts an emphasis on Transdanubien’s transformation. 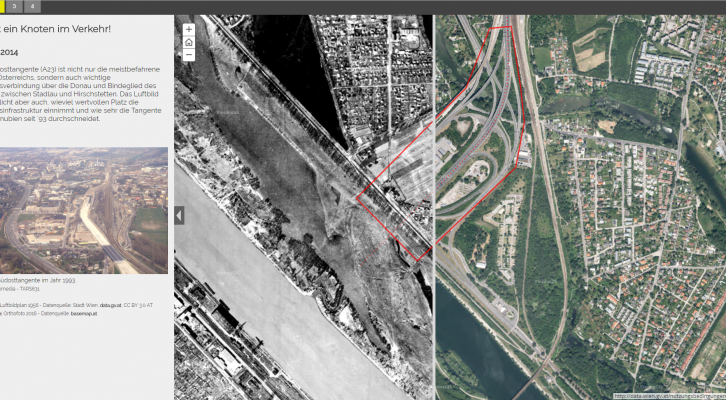 Turning an historical analysis into an interactive excursion, the website offers historic timelines, interactive maps and comparisons of historic aerial maps to illustrate an eventful past and present. It’s a playful way of communicating urban studies matters to a wider audience, which we wish there were more of. For those new to the city, it provides an excellent entry point to Vienna’s urban form and development history. And for those urbanistas, who are already familiar with Vienna, the origins of Donauinsel, UNO City, or Seestadt Aspern will still hold some interesting facts you might not know yet. Johannes Suitner is a PostDoc researcher in Urban Studies, currently engaged at Technische Universität Wien. His fields of expertise range from culture-led urban transformation and urban imaginaries to planning history and planning theory. He is the initiator of lidovienna.at and leader of the underlying research project TRANS[form]DANUBIEN.